Yesterday was amazing! I tried to keep up with everyone on social media, but if I missed you, I apologize. It got a little crazy there for a bit. Thank you for being so excited about Polaris Rising. You all made my day! Look at that #1 New Release in Science Fiction Adventures badge! I don’t know how long it’s going to stick around, but I totally took a screenshot because that’s going in my keeper file. :) Thank you SO MUCH to everyone who bought a copy or requested it from the library or just geeked out with me over the release! And, as a reminder, don’t forget that I have a book signing THIS SATURDAY afternoon at BookPeople in Austin. 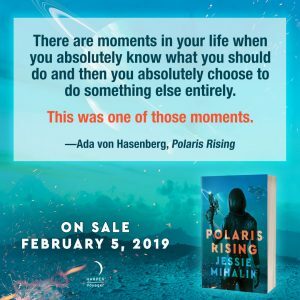 Happy Book Birthday to Polaris Rising! 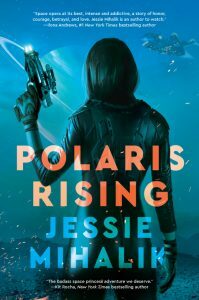 It’s hard to believe that it’s finally here, but Polaris Rising is out in the world today! Thank you so much to my agent, editor, and everyone at Harper Voyager who made today possible. And thank you to everyone who preordered! You all are amazing! To celebrate the release, I’m doing a signing in Austin on February 9 at 2:00PM at BookPeople. There’s also a Facebook event if that’s your style. :) I hope I see some of you there! If you can’t make it to the signing itself, you still have time to order a signed book! 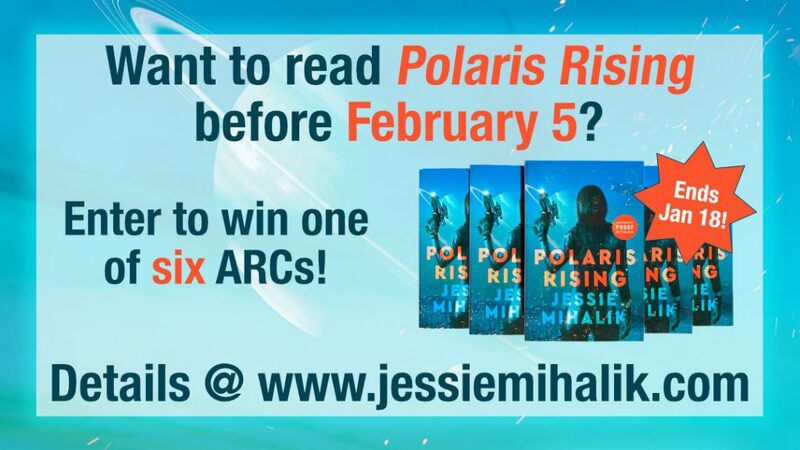 Polaris Rising: ARC Giveaway and Book Signing! We are just under four weeks away from the release of Polaris Rising! I can’t believe it. And to make it even more unbelievable, I am going to have a book signing at BookPeople in Austin, TX on Saturday, February 9 at 2:00 PM! You must buy the book from BookPeople to get it signed, but you can come meet me and hear me nervously ramble for free! If you are not local, you can still order signed books and BookPeople will ship them straight to your door! Details are available on the event page. Amazon | Barnes & Noble | iBooks | Kobo | Google Play | BookPeople – Signed! I’m doing two things to celebrate being less than a month from release. First, I’ve made some quote cards with tiny little snippets of PR. These will go up on Instagram first before migrating to my other social media. Your patience in reading this far was rewarded! To enter to win an ARC, here are the rules. Please read them all! Incomplete entries will be ignored. 1. The entry period starts now and ends on January 18, 2019 at 12:00PM (noon) CST. You must be eighteen or older. Open to US and international readers. 2. Leave ONE top-level comment (i.e., not a reply) below and tell me about something positive. It could be a promotion at work, getting to spend time with family, a book you love, etc. Let’s put some happiness out into the world. :) Duplicate top-level comments will be deleted. You are welcome to reply to other comments, though, because those won’t count as entries. 3. Comments must be on the blog post on my site (www.jessiemihalik.com). Comments on Facebook, Goodreads, etc. won’t count. 4. Come back after 1/18 and see if you’ve won! Winners must claim their book. Instructions will be included in the winning post. I’ll start: In addition to all the publishing awesomeness, my husband got a new job he’s excited about, and I recently read The Emperor’s Edge by Lindsay Buroker. It was really fun. It’s like a high-fantasy Leverage where a determined woman turns a rag-tag bunch of criminals into a team for a crazy plot to save the empire. And it’s free! 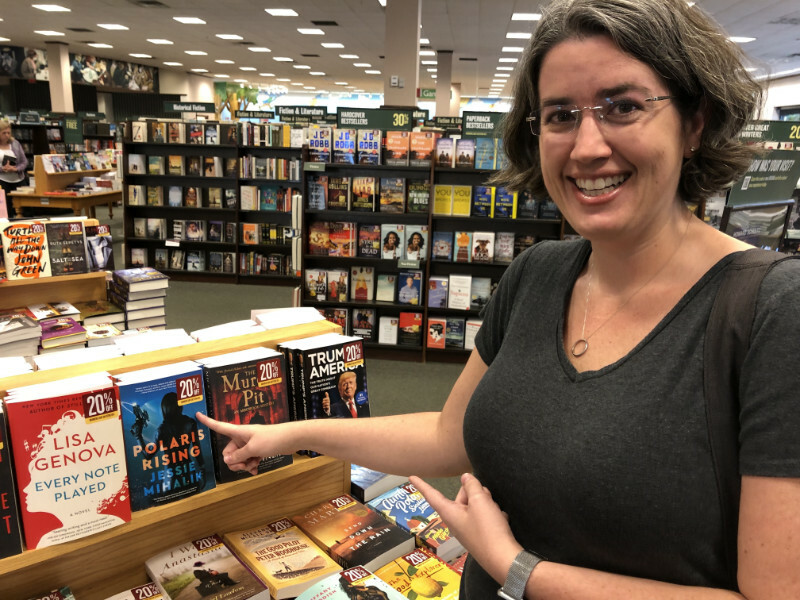 I’m thrilled to report that my first ever signing was a success! 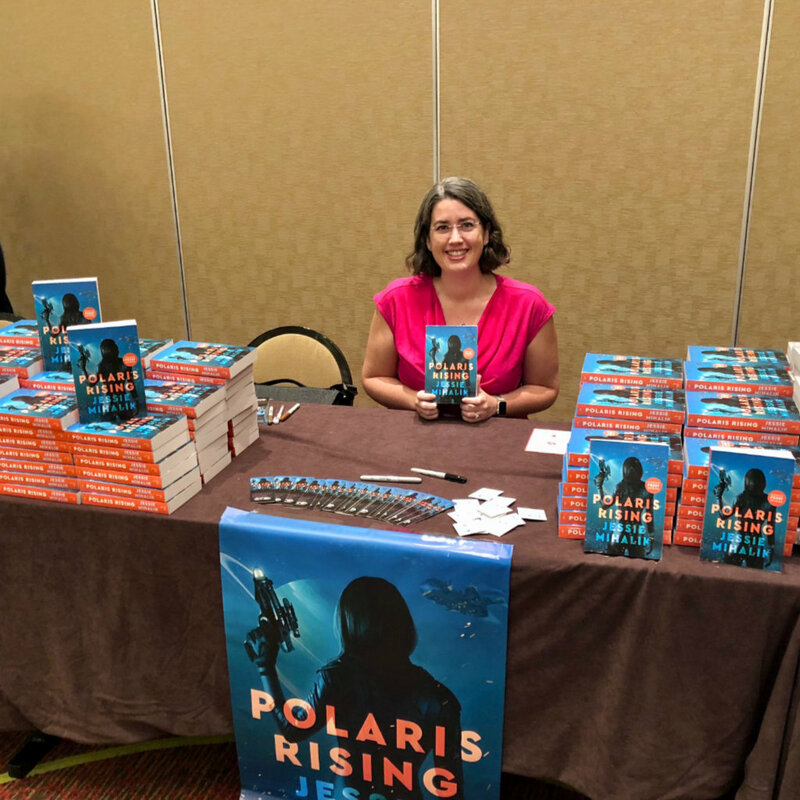 I signed close to 150 copies of Polaris Rising in an hour. It was crazy awesome! Thank you to everyone who came by and took the time to pick up a copy. Especially when I was in the same room as Beverly Jenkins, Tessa Dare, Sarah MacLean, and so many more incredible, amazing authors. Before the signing, it was all I could do not to run around fangirling like crazy. It was my first time seeing PR in print, and I have to say, I was blown away. It looks INCREDIBLE in person, y’all. Look at this table. Look. At. It. ?